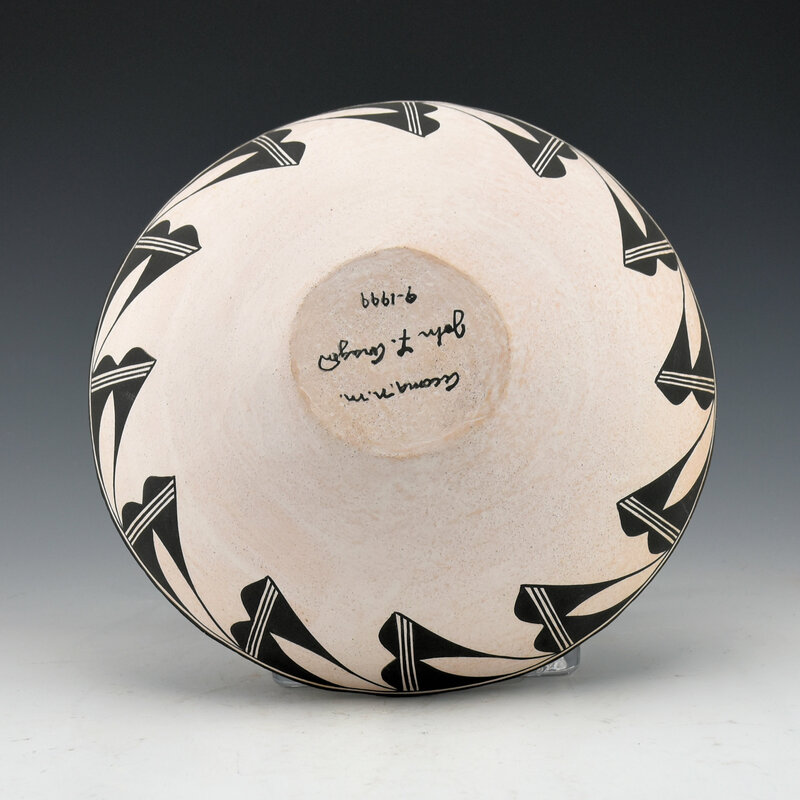 John Aragon is known for his use of Mimbres imagery on his pottery. 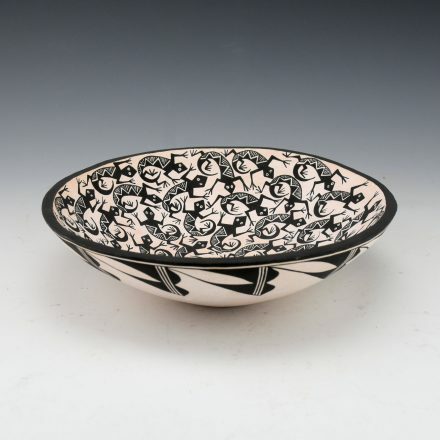 This is one of his open bowls. Inside the bowl it is fully painted with about 50 lizards! Each lizard has a similar body with fine-line designs. They overall appearance is one of both ancient and modern. 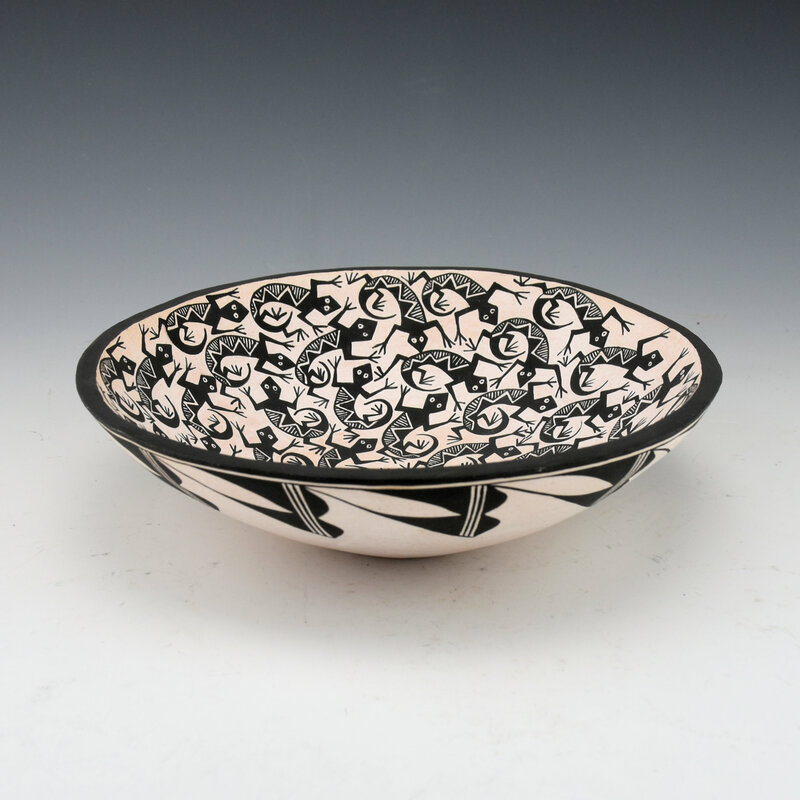 The outside of the bowl has a rain cloud designs. The bowl was made in 1999. 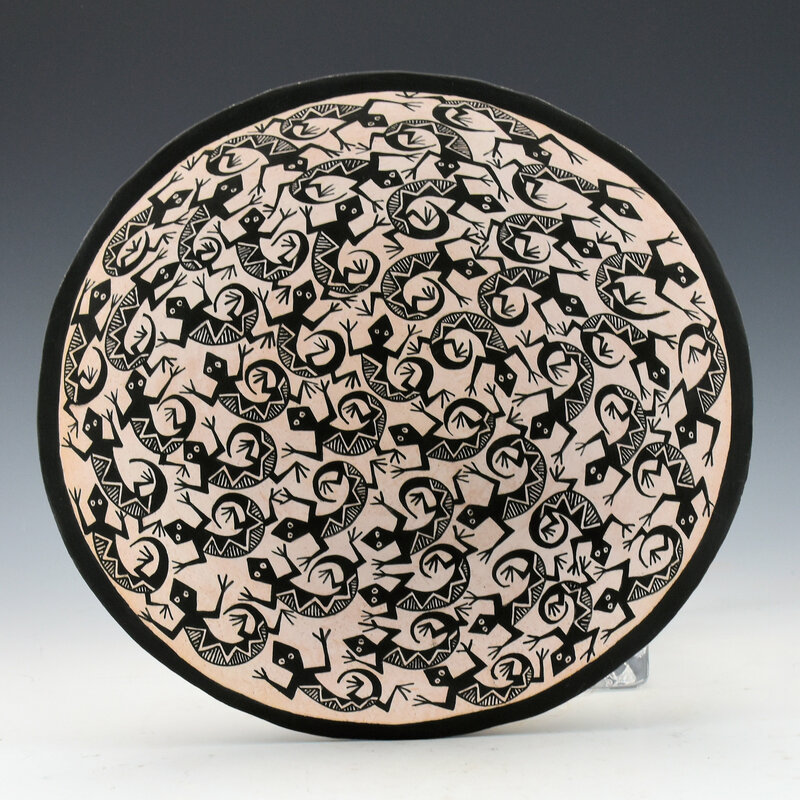 Today, John makes almost no pottery but his pieces have their own distinctive style. The piece is signed on the bottom. It in excellent condition with no chips, cracks, restoration or repair.